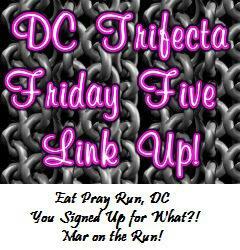 For the first time, I am linking up for Friday Five, hosted by three amazing DC area bloggers:Mary at Mar On the Run, Cynthia at You Signed Up For What?! and Courtney from Eat Pray Run, DC. Feel free to join the fun with your own Friday Five post and be sure to visit the other blogs on the linkup! This week’s topic is Five Races to Run in 2015, and since I am itching to get to my next race, I felt it was a perfect time to join in the fun! Some of these are races I’ve run before. Some are brand new. I am looking so forward to all of them. Here we go! I have been desperate to run a Best Damn Race event, and the timing has just not been working out. I was able to get in on the Virtual Jacksonville option in January, but it’s not quite the same as being there. Well, my chance is here and I am super excited to take advantage of it! 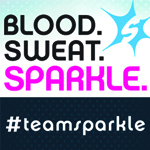 Great perks, a 10K distance, cool bling and the chance to hang out with some of my Orlando running friends? It’s going to be awesome! The biggest 15K in the USA is right around the corner and I can’t wait. 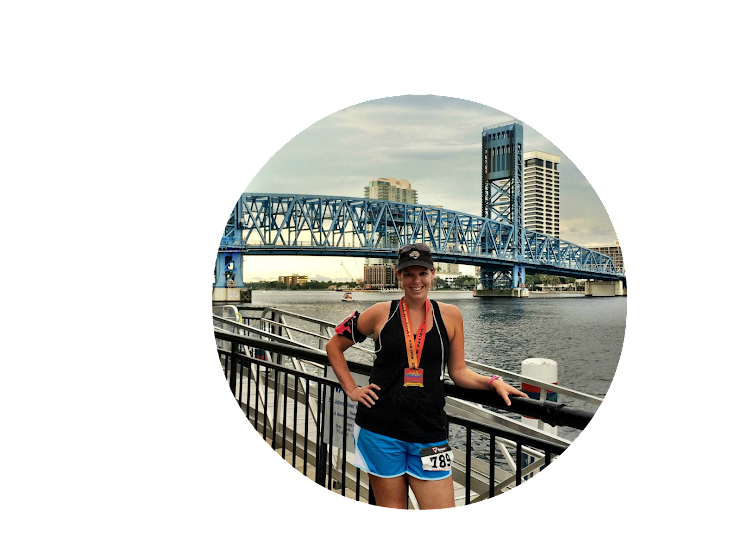 Running over two monster bridges, through spectator-lined streets in some of Jacksonville’s prettiest neighborhoods – it’s an experience beyond compare. This will be my second chance at conquering the Green Monster, but this year, I am ready for it. This is a little, informal race available to guests on Disney Cruise Lines, who will be visiting Disney’s island: Castaway Cay. Since I’m going to be there, it seems silly to waste the opportunity of trying something new and scoring another medal. I won’t be running this as part of one of runDisney’s challenges, but I think it will be fun and a great way to continue my training while out at sea. Virginia Beach will mark some firsts for me in 2015. I am fairly certain I have never raced out of state before. And I have never taken on a Rock ‘n’ Roll event, either. As if that wasn’t special enough, I will be running the half marathon with Mr PugRunner (as in together the whole way – another first) and we will be in the company of my awesome brother-in-law. We’ll get to spend the rest of the weekend with him, my sister-in-law and our nieces and nephews, so the celebration will be ongoing! Last, but certainly not least, I am returning to Cocoa for my third go at the Space Coast Half. This is, by far, my favorite half marathon, for physical (love the course) and emotional (it’s the site of my very first half) reasons. I will be earning my three-year Milky Way Challenge medal, too, which only goes to sweeten the pot. What are your top five races to run in 2015? Share in the comments or link up with the Friday Five! Oh how I wish I lived in Florida. Those races sound great! There are definitely advantages, like racing all year round! I’m so excited for all of your recaps! Especially the Disney one, what a neat idea! This will be the first time this one is held! It’s in a nearby town and directly benefits my online running club Outrun 38 which raises awareness and money for CF Research. This is in my town. It’s the worst race ever. Super hilly, and always really hot and humid. I actually skipped it last year. This one benefits a program that offers counseling to children who have lost a parent. Very near and dear as they helped my half brother through the loss of his mom. It’s a flat course, through a state park, with part of it alongside the beach. How can you not run 5 miles before the feast of the year?! It’s at the same part as #4. I’m super stoked for the Disney one. It seems like it will be pretty neat. And it will take my mind off being trapped on a ship LOL. Your races sound great! The Run for the Cove sounds like a wonderful run for a fabulous cause. And I really want to do a St. Patrick’s Day race at some point. It just never seems to work out. Oh, me too. You have no idea! Those sound like great races!! I was so excited about running the Sarasota half marathon this year but sadly my teenage son had other plans for me…I did find another local race that weekend here in Chicago tho. I hated to throw away my training. I’m just not as excited…but it will be fun. Some of my friends will be there! Good luck with your races! I have heard great things about Sarasota. I need to expand my reach to the west coast. I’m sure Chicago boasts some amazing races. Obviously, the weather makes it more challenging, but those city streets are gorgeous. I really want to do the Space Coast half. I’m not sure I can work it out for this year though. There are just so many to pick from! The Space Coast Half sold out in 13 minutes for 2015! I couldn’t even believe it! There are so many great races out there. I love all the options, but it does make it tricky, sometimes. 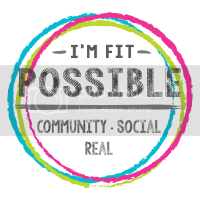 Mary Beth Jackson recently posted…Stitch Fix #4 and I am ready for a wedding! I will do! So excited! Space Coast Half is always the Sunday after Thanksgiving. Great way to work off all those holiday calories! When my family lived on St. Simons Island we used to go down to watch my dad run in the River Run! I remember it was my dream to run it with my dad when I got older….and then we moved! Maybe we’ll have to try to conquer it one of these days! It’s worth the trip. My first one was last year and I had a raging case of plantar fasciitis. I cried all the way up the Green Monster. It was ugly and awful but I loved the race so much and I can’t wait to get back to it. These all look fun! I’ve never run a 15K – that sounds like a great experience! It’s perfect! Not quite 10 miles! Love the distance, love the race! YES! There is NOTHING like your first right?! I will also always return to run mine year after year. I will never forget that feeling of crossing that 1st hm finish line. Realizing HEY! I can race 13.1 miles and it’s fun! Also, yours looks like a pretty cool race to begin with! Enjoy your 2015 race season! I loved my first half. Even when I got hit with cramps, it was really amazing. I hope to be able to run that race for years and years to come. ahhhhh we simply MUST meet up at Gate!!!! When are you going to the expo? I’ll be there Friday morning most likely. I haven’t planned that far yet LOL! I will email you and give you my number! I would love to get to RNR VB sometime! I’ve never been there and I hear great things about the race. I hope it’s great. I really, really do. It’s going to be hot, but hopefully it won’t be so bad. All of those races look great! 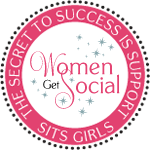 I wish I was closer – I would definitely want to add them to my list. Road trip maybe! Road trips are the best! It’s so fun to go somewhere new and race in a different environment. I think a 15k is a great distance. There aren’t too many of those. I’ve always wanted to do RnR VA beach but its a bad weekend with school starting the next day. Have a great race season! It is a great distance. For some reason, 10Ks and 15Ks are rare, which stinks because I love them both! We will already have been in school for almost a month by the time Labor Day weekend rolls around. Ah, the joys of living in the south. So it’s going to be tough, but won’t take away from that first day of school. 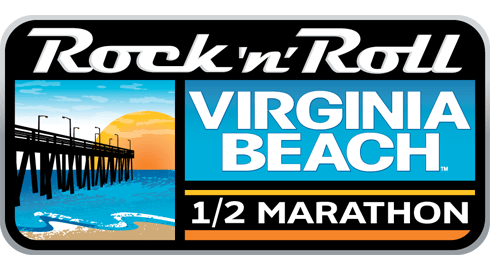 We ran the Rock ‘N’ Roll Virginia Beach Half back in 2002. It was a great race, but was terribly hot and humid. Of course, you may not notice since you’ll be coming up from Florida! Good luck, and have fun at it and all of your other races. Debbie @ Deb Runs recently posted…Happy Birthday To The Monster I Created! You know, I have been reticent because of the weather, but you’re right. It will probably be no different than a run down here. Silly me! I think I’ll be joining you for the Gate River Run this year. All the Best Damn Race ambassadors are gathering there for our official race and post party. I’ve heard such great things about it and can’t wait to run again in Jax. Welcome to the linkup BTW. Whoo hoo! That would be awesome! Are you going to be at Orlando? Thanks for the welcome! I don’t know why I didn’t do this sooner. I’ve found so many great new blogs through it. Can’t wait for next week! Sounds like a great list! 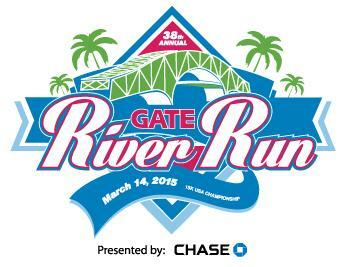 The Gate River Run sounds awesome! It’s amazing. One of my favorites! I have heard great things about Best Damn Race, I think it would be so fun. I am so excited that things are finally falling into place so I can run it! Fun that you running (again) the largest 15K! Space coast is def on my running bucket list. Space Coast is a must-do. It’s incredibly hard to get in and I wonder how they will handle things after the Big Bang series ends, but I love running there. Best Damn Race sounds fun. I am so excited for Gate! My husband couldn’t run it last year so I can’t wait for him to experience it this year. I can’t wait to report back on BDR! Oh, I’m sure he will love it! How can you not? Running with such great support from the home crowd? It’s amazing!